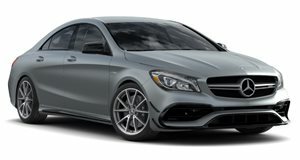 An Australian website is claiming Mercedes-AMG will add an A35 to its small-car stable to slot below the expected A45. This new "baby AMG" would be powered by Mercedes’ 2.0L four-cylinder turbo paired with the company's new 48-volt power system and an electric turbocharger—similar to the Mercedes-AMG CLS53’s new hybrid powertrain, only smaller. 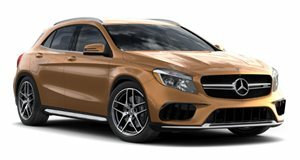 Output is expected to reach 335 hp and 330 lb-ft of torque, which—paired with a rear-biased 4Matic all-wheel drive—could sprint to 60 mph in under 5 seconds. While we take anything reported by Australian outlets with a grain of salt, the logic laid out by , citing one of its sources, is solid. The gap between the current 208-hp CLA250, which starts in the low thirties and the bonkers 375-hp CLA45 AMG at over $50,000 is a huge divide that absolutely begs to be filled with something to take the fight to the pint-sized middleweight-class Audi S3 and BMW M240i. 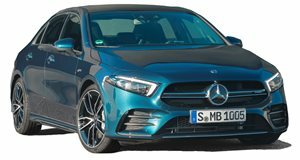 In other segments, Mercedes filled the niche between C300 and C63 with the C43, and it has just introduced the CLS53 to bridge the gap between the CLS400 and CLS63. However, , protecting A40, CLA40, and several other names, including CLA53. 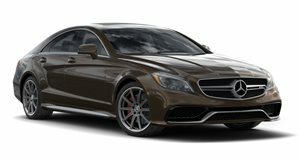 That would pair nicely with the 400+ hp 2.0 turbo and sub-4 second sprint to 60 mph Motor is expecting from the top-tier AMG A-Class. We won’t have to wait long to find out how accurate this supposed source is, as Motor reports the A35 ‘tweener will launch as early as the Geneva Auto Show in a few weeks, alongside the first appearance of the A-Class hatchback only Europeans and Canadians will get. If not next month, circle the Paris show in October as a likely time to find out more about this medium-spice A-Class. So good, it's bad. Bad, bad, bad.